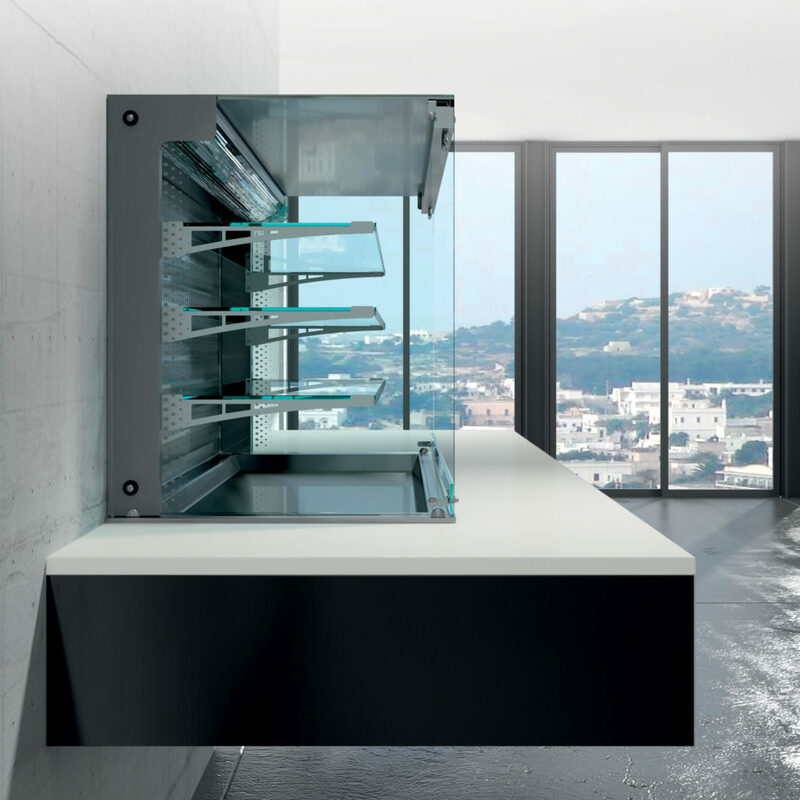 Aesthetics, big capacity, functionality find a perfect balance in the Wall line. 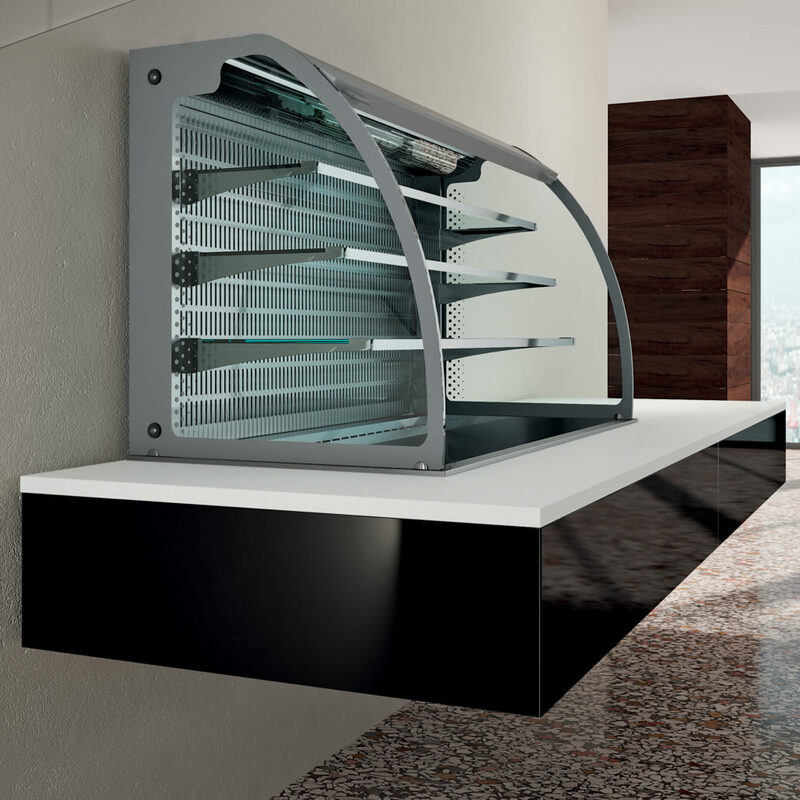 Wall line is composed of wall-mounted refrigerated display cases, designed for being built in the worktops which may be formed from any type of material l and is The line was created to meet the needs of those who need to install the wall-mounted equipment. 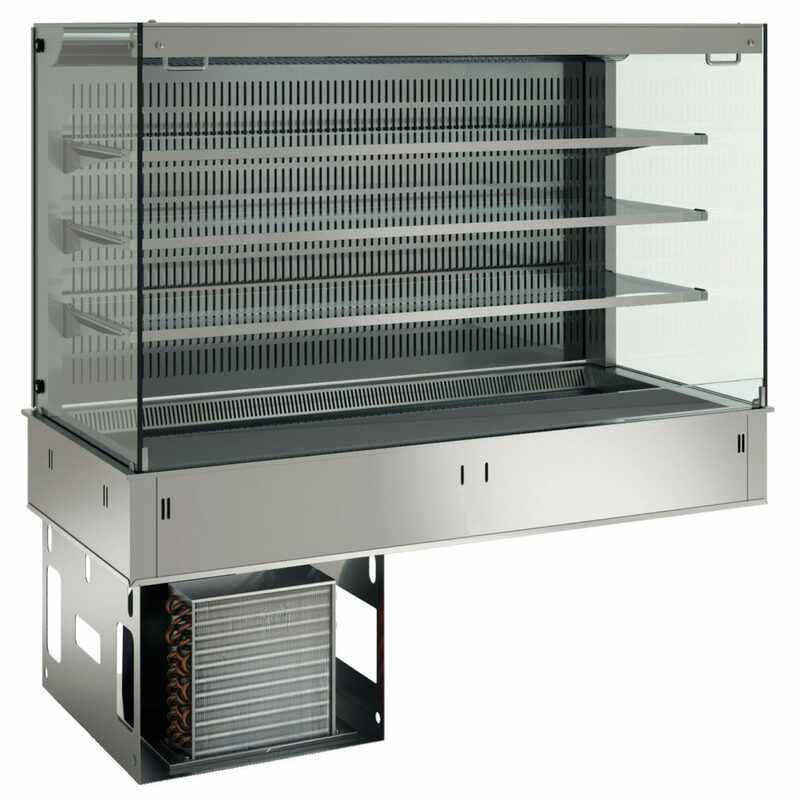 Wall display cases fit well any type of furnishings, ensuring in a professional manner the maintenance of the food at the correct temperature. 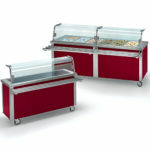 Wall offers you a wide range of squared or curved refrigerated display cases that meet any your requirement. 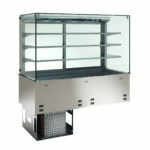 The product range includes display cases on a tank, on top, with 2 or 3 shelves and different capacity. 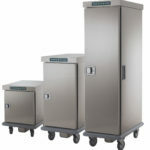 All elements could be provided with the refrigeration unit or prepared for remote one. 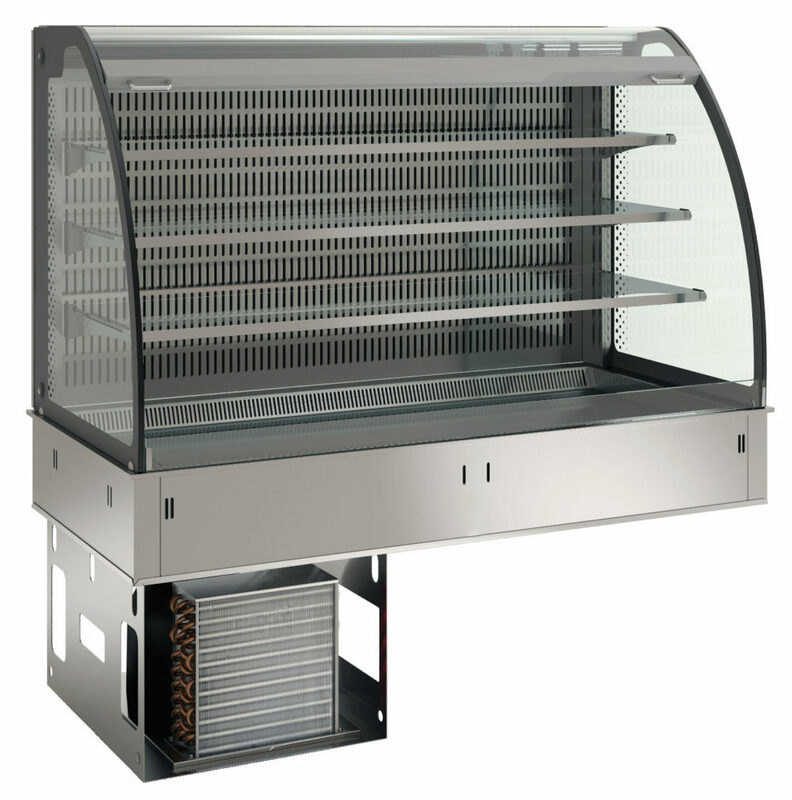 Refrigerated display cases of the Wall line are particularly suitable for displaying cold food thanks to the air flux system that allows a circulation of refrigerated air on between a display case shelves, too.